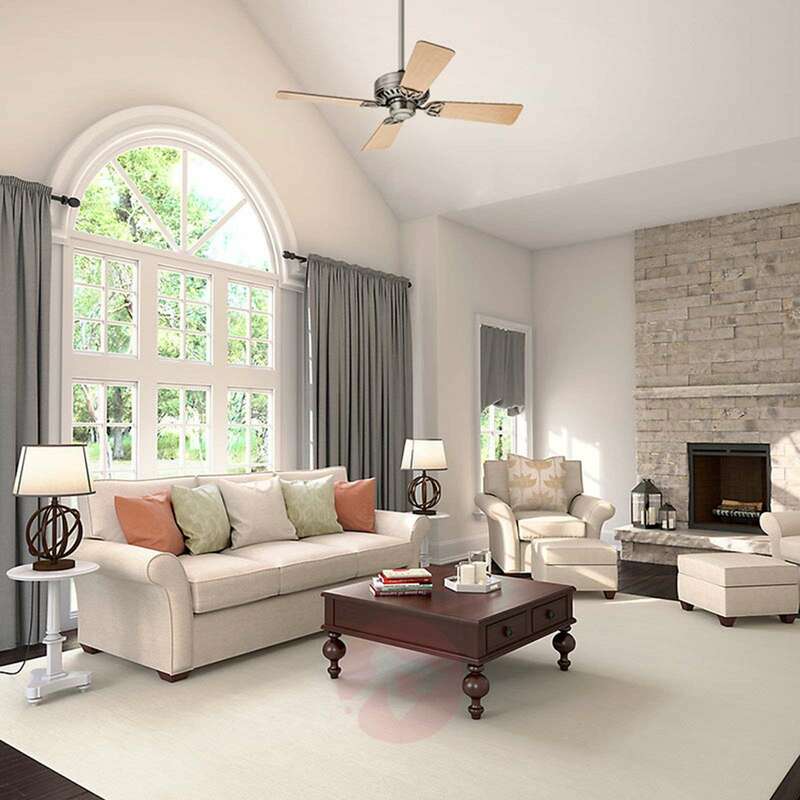 The attractive ceiling fan Bayport with a Whisperwind® motor captivates people with its functionality and its attractive design. The four wooden blades have a light maple design on one side and a dark cherry wood design on the other. They can be installed on either side and their design is perfectly tuned to the nickel-coloured casing. 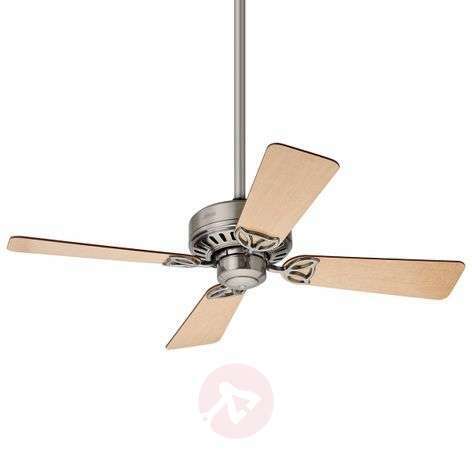 A slide control can be used to set the rotational direction on the fan, which is equipped with a practical forward and reverse rotation function. Switching to the summer mode with forward rotation produces a cooling effect; the winter mode with reverse rotation achieves a heat circulation and helps to save heating costs. You can use a pull chain to switch between three speed levels. Alternatively, the fan can be retrofitted with a wall switch or a convenient remote control (see the accessories). 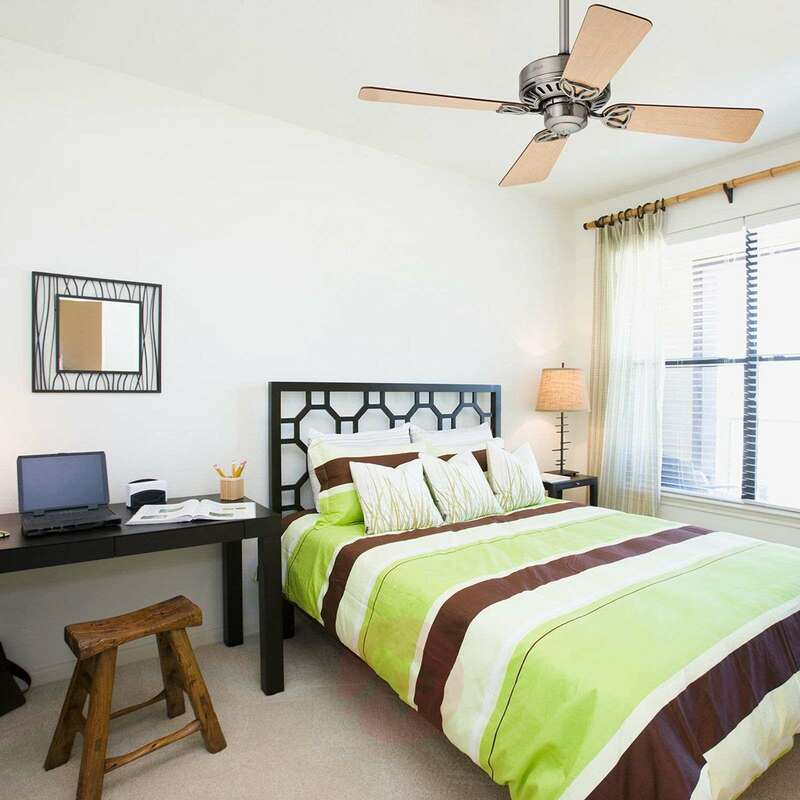 Equipped with a quiet motor, the ceiling fan Bayport is also suitable for bedrooms. Can also be installed on sloping ceilings or without a rod on lower ceilings. It can be retrofitted with lighting. Suitable lights are available as accessories.